Kishore Biyani’s Future Retail seems to be on a rationalisation drive. 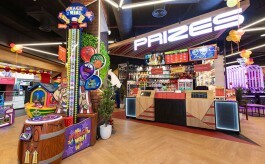 The company has merged 69 shops of its electronics and durable chain Ezone into larger stores such as Big Bazaar and Home Town in the last one year as it went about focusing on small stores and flagship Big Bazaar. At the same time, it opened 22 Big Bazaars and about 192 Easyday stores, Future Retails’ investor presentation showed. Future Retail also did store rationalisation of 300,000 sq ft on a quarterly basis in the April-June quarter of FY18, primarily in Easday—it shut few non-performing stores and changed 14 Heritage stores to Big Bazaar and Home Town, according to a report by Edelweiss Securities. “Average size per store for Big Bazaar and Home Town dipped five per cent and 26 per cent quarter-on-quarter, suggesting improved throughput. 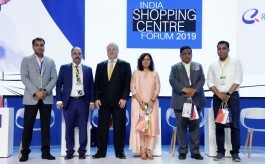 This coupled with strong same-store sales growth led to margin improvement as other expenditure fell by 112 basis points year-on-year basis,” said Tanmay Sharma, Abneesh Roy, and Alok Shah of Edelweiss in their report. Operating leverage, store rationalisation and no end of season sale in fashion led to 152 basis points year-on-year margin improvement in Q1 on FY18, they said. A Future Retail spokesperson said the decrease of 300,000 sq ft is mostly on account of Home Town being demerged into independent listed entity Praxis Home Solutions. Future Retail has total space of 13.5 million sq ft, tad short of Reliance Retail which has retail space of 13.8 million sq ft. In Q1 of FY18, its net profit more than doubled to Rs 147.85 crore revenues from operations went up 18.22 per cent to Rs 4,704.93 crore. The same store growth of Big Bazaar stood at 15.9 per cent in the last four quarters. In comparison, the retail business of RIL posted profit before depreciation, interest and taxes of Rs 398 crore in the quarter ended June, a 66 per cent annual jump at the back of record sales growth of 73.6 per cent to Rs 11,571 crore in the period.